It is a little bit of cinema and a little bit of rock and roll. 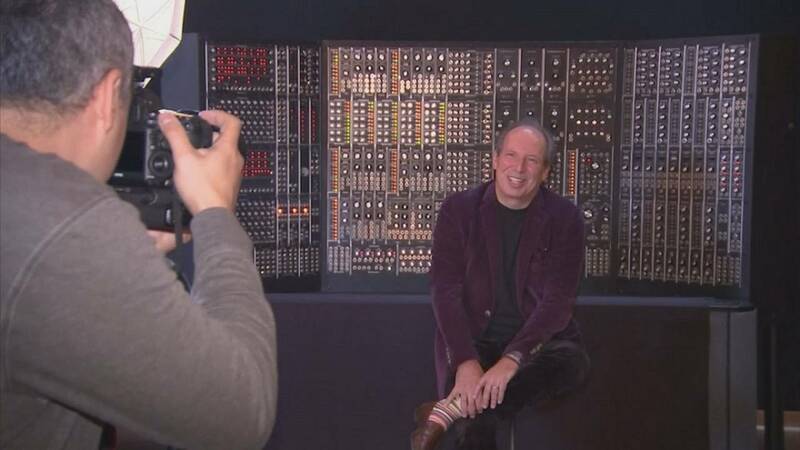 That is how Oscar-winning composer Hans Zimmer has described his career-spanning concert tour ““Hans Zimmer Revealed”“:http://www.hanszimmerlive.com/revealedtour/. “I didn’t actually want to do this tour in the first place, because I always had stage fright. But it was all my rock ‘n’ roll friends like Johnny Marr and Pharrell Williams. Actually those two were pretty much the main offenders, going, ‘You can’t hide behind that. You’ve got to go out there. You have to go and do it, “ the composer explained. Zimmer has scored more than 120 films. Audiences can expect classic renditions and a few fresh reboots of some of his most popular film scores, including “Gladiator,” “The Lion King,” “Pirates of the Caribbean” and “The Dark Knight” trilogy. Familiar tunes reinterpreted with orchestra in a different light. “I wanted to see if I could just sort of break that wall between myself and the audience. Which in a funny way I’ve been writing this music for years and sort of hiding behind the movie. And I think there has to come a moment where you actually face the truth and you actually go and stand up on the stage and you look at the audience in the eye and go, ‘All right. What do you think?’” he said. The 59-year-old German takes his show to the United States in the spring before embarking on an Australian and European tour that will last into the summer. He’ll stop in Los Angeles, San Francisco and Las Vegas in April, before visiting Australia and New Zealand, then finishing with 21 more European shows.